The Centre for Language Technology at the Department of Nordic Studies and Linguistics, University of Copenhagen (UCPH) employs approximately 16 staff, including computational linguists, linguists, lexicographers, terminologists, computer scientists and engineers. UCPH has a high level of expertise in many areas of language technology and particular expertise in computational lexical semantics. It has developed a large number of resources, tools and platforms over the years in collaboration with other partners such as The Danish WordNet, the SemDax Corpus, a Danish sense tagger, AndreOrd (a DanNet wordnet browser) and WordTies (amultilinguag wordnet broswer for Nordic, Baltic and Polish wordnets. 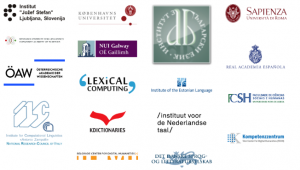 UCPH supports ELEXIS EU as a strong partner with computational linguistics data and expertise, working as intermediary between lexicographic and technology partners. Bolette S. Pedersen, Professor and Deputy Head of the Department of Nordic Studies and Linguistics at the University of Copenhagen, has a PhD in Computational Linguistics. She was the leader of a number of projects concerned with computational lexicography and NLP: Semantic Processing across Domains (collaborate grant project from the Danish Research Council 2013-2017 with DSL). She was a member of Board of Representatives of the Danish Language Council 2010-2016, President of NEALT (Northern European Association of Language Technology) 2014-2016 as well as the Leader of the Danish METANET/METANORD group (an EU project with aim of developing language resources for the less resourced languages in the Baltic and Nordic countries, 2011-2013). She was also the project leader of the Danish wordnet project, DanNet (grant project from the Danish Research Council 2005-2008) with DSL. Sussi Olsen, Research Associate, coordinated the manual semantic annotation of the SemDaX-corpus in the Danish research project Semantic Processing across Domains, and was part of the FrameNet annotation of the same corpus. She participates and participated in several large-scale European projects such as eTranslation TermBank, ELRC, Language Technology Observatory, CLARIN-PLUS, META-NORD, EuroTermBank, Let’sMT!, as well as many national research projects. She has been involved in several lexicographical projects including STO – the Danish lexical database for language technology applications. She worked as an expert validator of written language resources for ELRA and the Netherlands Organisation for Scientific Research and is the (co)author of many publications on language resources, encompassing lexicography, corpus compilation and annotation, metadata and machine translation.